Alternative energy, anthropology, archeology, biodiversity, bioethics, biology, conservation (mammals in particular), data analysis, geology, landscape analysis, media art, remote sensing. Overview: "In my opinion, the most important thing for conservation is not to increase the number of specialist who has knowledge, experience and leadership, but to involve people who are not interested in conservation into solving environmental problems. As GIS can add the information on the map with which we are familiar, it will be excellent tool to have people interested in conservation. Even though they might not initially be interested in conservation at all, if they knew the fact that a lot of things happen in our world through the map with GIS, it will bring their interest to environmental problem. Therefore I would like to study GIS to inspire people who are not interested in conservation and involve them into environmental problem. " describe your personal role in the organization: I am a student in the department of Electrical Engineering and Bioscience, whose studies are composed of biology, electrical engineering and information engineering. I have studied about alternate energy, data analysis, biology, and statistics. My research focuses on spatial pattern analysis as a point process. For example, with analyzing the distribution of tree as a point process, it is possible to find the pattern of tree distribution. It has much to do with GIS. This study is also applicable for climate change projection or animal monitoring. Besides, I had been working as a president of IAESTE (the International Association for the Exchange of Students for Technical Experience) committee in my university. IAESTE is international non-profit student exchange organization and provides students in technical degrees internship. Through IAESTE, I aimed to connect students who are highly skilled to local issues like agriculture, environmental problem and tsunami. Although I was not involved in conservation and GIS before entering university, I had great interest in geography. I got Bronze twice at iGeo (International Geography Olympiad Japan region) in 2008 and 2009. Currently, I am studying spatial pattern analysis as a point process in my university. For example, with analyzing the distribution of tree as a point process, it is possible to find the pattern of tree distribution. It has much to do with GIS. This study is also applicable for climate change projection or animal monitoring. Besides, I have strong interests in conservation issues and have visited Biodiversity Hotspots personally; California, Madagascar and the Indian Ocean Islands, Philippines, Sundaland, New Caledonia and Japan. I have worked at Mauritian Wildlife Foundation (MWF) as a trainee. MWF is the biggest environmental NGO in Mauritius and has several protected areas. I was monitoring birds and reptiles, and mapped these data by hand. I will suggest them to use GIS to conduct their work more efficiently after I participated to this training. Besides, I think that they can use GIS to introduce their protected area to attract support. 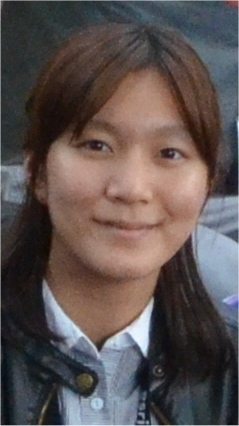 I have been an intern at the Japan Program of Conservation International (CI) since June 2012. CI is engaged in conservation projects and policies globally, and helping Japan Program exposed me to a new dimension of conservation. Among many activities I have been involved at CI, the most relevant to GIS is communication support about KBA (Key Biodiversity Areas) and OHI (Ocean Health Index), both of which use GIS extensively. I participated in ERCA (Environmental Restoration and Conservation Agency) overseas training. The purpose of this training is to learn the state of conservation in Southeast Asia. I visited local NGO, government, Malaysian branch of Environmental NGO like WWF, and protected area. Some government and NGO used GIS to understand the situation of protected area and national park, and I understood the importance of using GIS effectively. describe your connection to the local SCGIS chapter: SCGIS Japan Chapter is taking its shape right now. With the experience from this scholarship, I would like to help it grow. 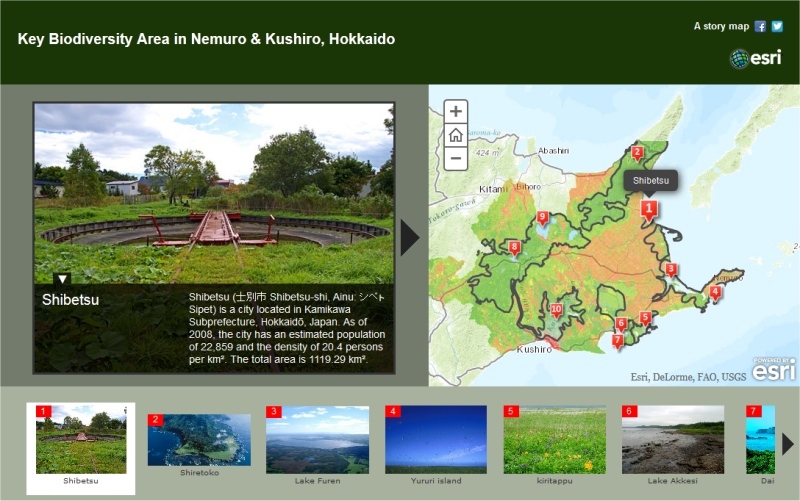 Since GIS is more popular for city planning or disaster prevention than conservation in Japan, I would like to promote using GIS for conservation and increase the number of students in GIS community; first, by linking them with large, active field of conservation GIS. describe what is the most unique and the most challenging about the conservation/GIS work that you do: The most unique work which I did is to analyze tweet on twitter and find what kind of words people link to the word 'Biodiversity'. According to this work, the specialists think that biodiversity is related to international conference like COP10, or words like ' Convention on Biological Diversity'. In the other hand, people who are not working for conservation think that biodiversity is related to 'animal' or 'nature'. Thus, by analyzing people's way of thinking, we can develop the effective way to enlighten people on environment or conservation. The most challenging work is to visit protected areas and local NGO in Southeast Asia and Africa, and write reports about their activities. Though Japan is identified as one of 34 biodiversity hotspots of the world, the conservation of wildlife or management of protected areas is not so active compared to other countries. Through my experience in Southeast Asia and Africa, I realized that there are two reason; one reason is we do not have efficient way to attract support for conservation people, and other reason is the use of GIS for conservation is developing in Japan. Therefore, I wrote several reports about the way of environment education or the activities at national reserve or NGO in developing countries to stimulate Japanese NGO's activities.